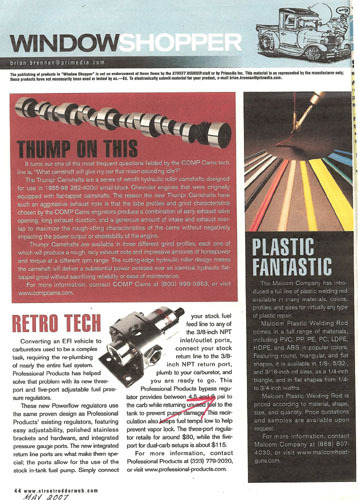 Malcom Company sells a line of plastic welding tool kits and I’ve been preparing innovative news releases about the kits for over 20 years. The tools combine heated air and pressure to weld plastic and can be used for repairing tanks and vessels, automotive bumpers, personal watercraft, canoes, snow mobiles, you name it. Virtually anything made of plastic can be welded. 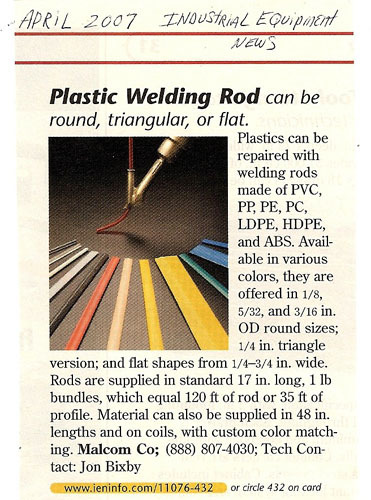 While publicizing these plastic welding kits for different applications, it occurred to me that the common thread to all of them is plastic welding rod. So I thought, why not publicize plastic welding rod by itself? Preparing news releases for commodity products is a terrific opportunity because most people figure everybody knows what plastic welding rod is, so why bother? How ironic, not publicizing what people need routinely. Exactly the wrong attitude! What happened next was fascinating. I saw that the plastic welding rod was well received by editors and websites ranging from leading automotive industry publications to top industrial media outlets. There was a lot of content all over the web. They received publicity in magazines and content on websites ranging from leading automotive industry to industrial media outlets. By publicizing the plastic welding rod, Malcom sold more plastic welding kits [as a result of that publicity] then they did when we publicized the actual kits themselves! 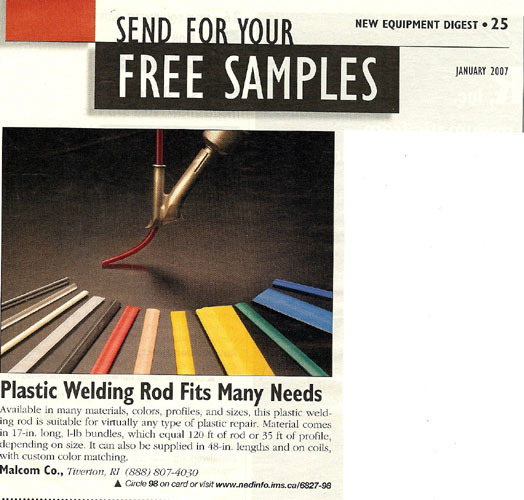 The product publicity for plastic welding rod drove traffic to the company’s website and the visitors clicked-through to the plastic welding kits and purchased them online. The beauty of this contrarian approach was the measurability. Malcom was able to identify which media outlets and websites produced the most leads from the plastic welding rod publicity and their corresponding ratio to sales. There are two big lessons here. First, there isn’t always a sequential or linear relationship between what product is publicized and the resulting actual sales. Second, you shouldn’t hesitate to prepare press releases about commodity items just because you think everyone knows what they are. It is impossible to predict what product is going to generate the most valuable sales leads. The key is to publicize all categories of products and evaluate the web traffic, click-throughs, and actual resulting sales orders. In the meantime, you’ll be populating the web with content about your products and company.